PR samples IT Cosmetics has introduced 3 new moisturizing must-haves in their Confidence skincare product range. The new lineup includes a weightless gel moisturizer, an ultra-hydrating rejuvenating face cream for dull skin and a neck cream. This is an oil-free, gel moisturizer that has been formulated to deliver 72 hours of hydration. Infused with ceramides, glycerin and cactus flower extract plus a Tri-Smooth Water Gel Complex, the fragrance-free formula is allergy tested, clinically tested and perfect for all skin types. Even though I have dry skin and enjoy using creamy-rich moisturizers (especially in winters! ), the elegantly lightweight texture of this moisturizer feels so refreshing! The gel formula breaks into a water-light liquid when applied on the skin and absorbs instantly with no residue at all. It feels like nothing on the skin yet leaves skin lightly moisturized and velvety smooth! Not only does it add a weightless layer of moisture but also leaves skin perfectly primed for makeup application…score! 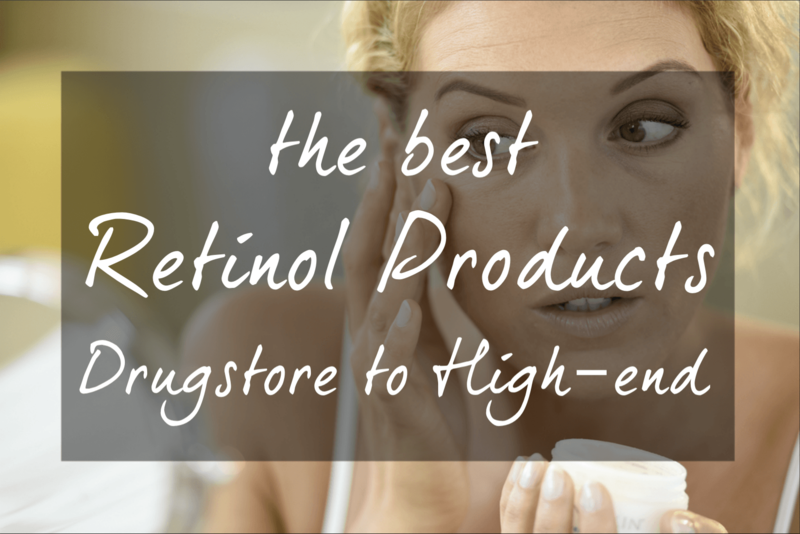 Not to mention, it contains a great roster of hydrating and skin-smoothing ingredients like sodium hyaluronate, ceramides, aloe and many more! Confidence in a Gel Lotion really has what it takes to be a wonderful moisturizer for all skin types! Those with oily and combination skin would especially LOVE this gel lotion because it’s truly weightless with a barely-there feel. Enhanced with rosy tone pigments, this is an intensely hydrating moisturizer that gently exfoliates and stimulates surface cell renewal to revitalize your complexion. Infused with iris root, peony extract, squalane, chickpea extract, lipohydroxy acid and other skin-loving ingredients, it’s an ideal moisturizer for aging skin. If your skin is on the dry side like mine, this moisturizer is sure to please. I love its lusciously creamy texture that feels wonderful on the skin, as if it’s poised to pamper! Not to mention, the cream has a sheer rosy tone that not only looks pretty but also adds a soft, natural glow to my skin. The formula absorbs pretty quickly and leaves skin looking supple and dewy (but not greasy) It’s the perfect pick-me-up for dull, tired-looking skin! Those with mature skin will also enjoy this lovely moisturizer as it offers a healthy dose of hydration without a heavy feel. It’s pretty pink goodness in a jar! The only quibble about this cream is that it has a rose scent which is not too strong but definitely noticeable. It fades away in a minute or so after applying but if you are sensitive to fragrance in skincare, the scent might not be agreeable. Formulated specifically for neck, décolleté and chest, this quick-absorbing cream is clinically tested to reduce the look of horizontal neck lines and improve firmness, smoothness and elasticity. Suitable for all skin types, this firming moisturizer features fucoidan seaweed extract, shea butter, elastin, collagen, ceramides, niacin and hyaluronic acid for supple, smoother skin and provides a tightening effect with continued use. Did you know: On average we check our phones about 52 times a day, and spend more than 4 hours a day on our devices?! It’s time to look up, and give your neck a break! 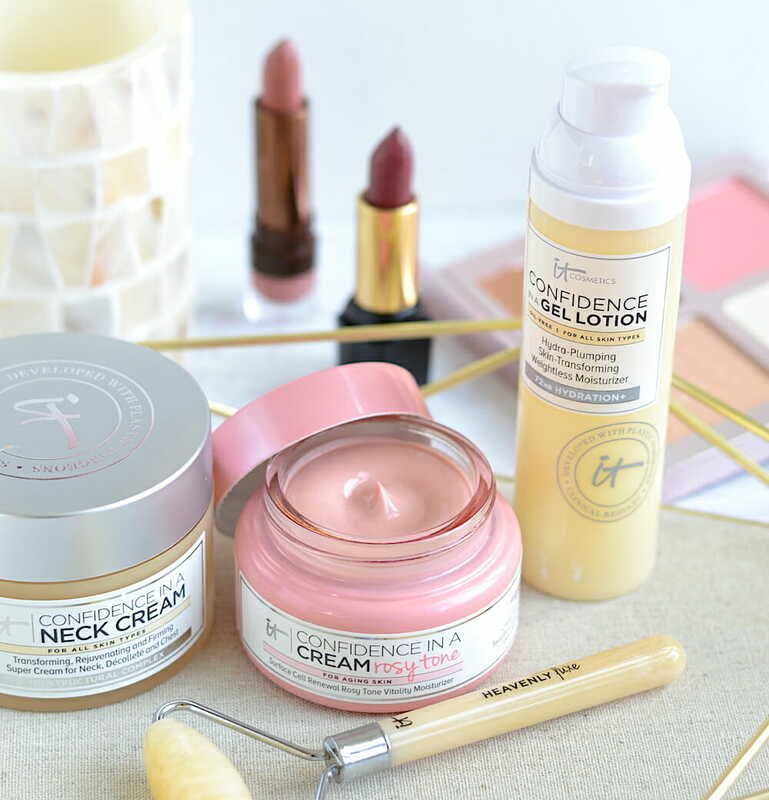 The Confidence in a Neck Cream is the perfect treatment to help reduce neck and chest wrinkles—the visible effects of “tech neck”. It has been a great addition to my skincare routine!